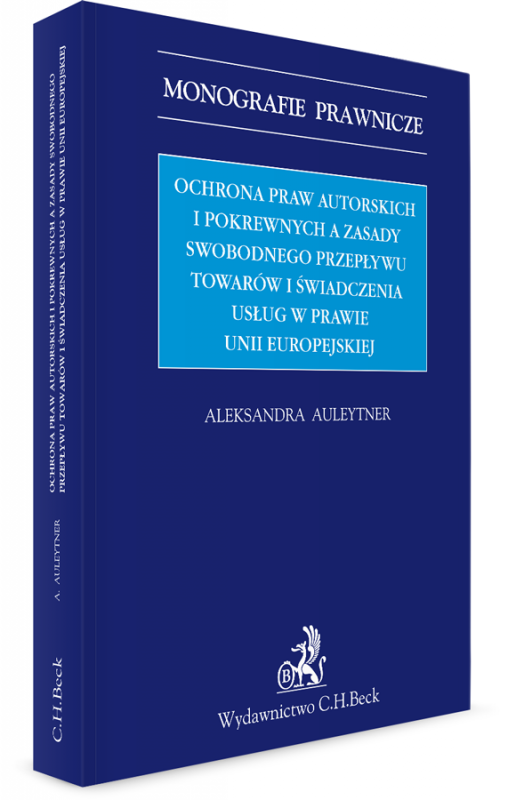 The C.H.Beck publishing house has recently published a book entitled Protection of copyrights and related rights and the principles of the free movement of goods and the freedom to provide services in EU law, the doctoral dissertation of Aleksandra Auleytner, head of DZP's IP&TMT Practice. In this work, the author explains how the principle of the free movement of goods and the principle of the freedom to provide services have led to the creation of an internal market in copyrights and related rights. She also shows that the principles of the free movement of goods and the freedom to provide services create new paradigms for the protection of copyrights and related rights in EU law – they therefore have a fundamental effect on the development of the EU copyright and related right protection system. The key factor driving the changes in EU copyright law in this approach is the development of the IT society and consequently the need to adapt regulations to the specific nature of online trade. In addition to an overall discussion of EU law and case law of the Court of Justice of the EU, this work gives an extensive depiction of regulations of international copyright law in this area. Our hearty congratulations to the author and we highly recommend this book to you all!